AT&T and Motorola, Inc. have announced that beginning March 7 the Motorola BACKFLIP will become AT&T's first Android based smart phone. The BACKFLIP not only features the Android OS but a 3.1" touchscreen and "flip-out" QWERTY keyboard which as its name infers is designed to be opened more like a book than like a traditional slide-out keyboard. Other features include a five megapixel camera with flash and camcorder functionality, Wi-Fi, and the ability to tap into AT&T's fastest 3G network, the new HSPA 7.2. The BACKFLIP will also offer AT&T users their first look at MOTOBLUR, a social networking tool that allows users to keep track of contacts by syncing with sites such as Facebook, MySpace and Twitter. From the MOTOBLUR home screen, consumers can update their status to Facebook, MySpace and Twitter all at once. The service also offers users simplicity and peace of mind, as lost devices can be located from a secure personal information portal and GPS can be used to locate them. One user name and password brings back a user’s contacts, messages and connectivity to previously configured networks and email providers. 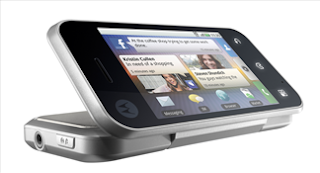 The Motorola BACKFLIP will be available March 7 at AT&T retail locations nationwide or at www.wireless.att.com for $99.99 after $100 mail-in rebate. 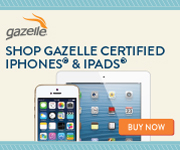 (Pay $199.99 and after mail-in rebate receive $100 AT&T Promotion Card. Two-year agreement and smartphone data plan required.) For more information on the Motorola BACKFLIP, visit www.att.com/backflip.